Zanzibar, a tony island that’s only 90km long and 40km wide packs a punch. There is plenty to do around the archipelago including snorkeling, scuba diving, hiking and of course, amazing kitesurfing. Mix that with the natural beauty, and the unique history and this island will likely be a place you’ll never want to leave. Zanzibar is an island oasis with a rich history, miles of soft sand beaches and wonderful food. The island is a short flight, or ferry, from Dar es Salaam. 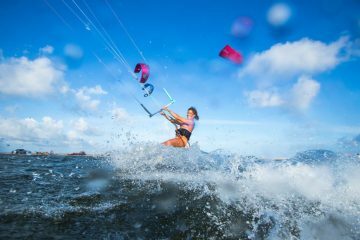 Once you are on the island, make sure you spend time in Stone Town but get across the island to Paje for great kitesurfing. In Stone Town, you will find narrow alleyways packed with shops, rooftop views and beautiful carved doors. Even the doors tell a story, so it is a good idea to grab a tour guide from the Forodhani Gardens. Stone Town used to be the center of the slave trade in East Africa and a trading hub between Asia, Europe and the Americas. This brought immense cultural diversity to the island and long rich history. Every part of the island has something to do or see but if you are looking for kitesurfing, Paje is the place to be! On Paje beach you’ll find tons of kitesurf schools and rental spots, perfect shallow long tides and great winds. In this guide, we’ll show you what to do and where to kite in the Zanzibar. The best time to visit Zanzibar? The long, dry season runs from June to October. There is another short, dry season from January to February. Two rainy seasons take place from March to May and again from November to December. For kitesurfers, the best time to visit Zanzibar is between December to February for Kaskazi winds, northerly winds that blow between 10-20 knots consistently. From April to October, you’ll find south-easterly winds that blow between 12-25 winds. For the most consistent winds, visit from late June to September. Scuba dive in Zanzibar from July to September and from February to April, when visibility is best. Sink your toes into the soft sand at this hostel in Paje. Located a 30 second walk from the beach, this hostel has a great atmosphere, sand floors and affordable prices. A bit north of Paje you will find Pingwe and the Zeru Zeru hostel, a fun and relaxing eco lodge. Overlooking the Chwaka Bay, you can have fun at the pool table or take a splash in the pool. Rooms come with free wifi, a fan, and bicycle use. 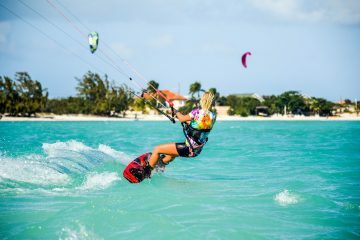 Not only does the Zanzibar White Sand Luxury Villes and Spa Resort offer a beautiful place to unwind, it is also home to the highest rated kitesurfing school in Zanzibar, Zanzibar Kite Paradise. Enjoy post-kite massages at the onsite spa or dine on local dishes at the restaurant. Each villa comes with a private plunge pool, air-conditioning, lounge, dining room, and outdoor shower. 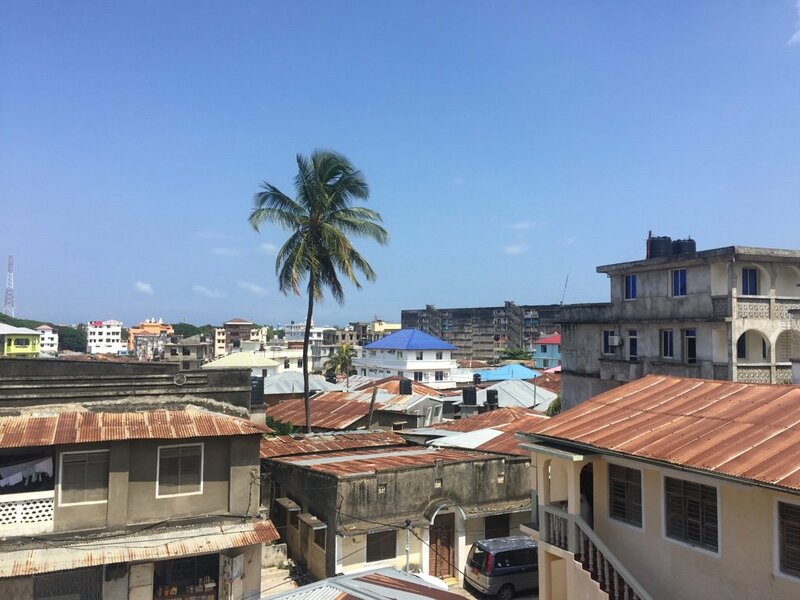 Plane: For the easiest and fastest route (especially if you are flying in to Tanzania from overseas), hop on a quick 20-minute flight from Dar Es Salaam to Zanzibar International Airport. The tiny planes sport bus benches and if you get in the front row you’ll feel as though you are sitting in the pilots seat! Or else the pilot might just invite you up to join him. Once you land, you can have arranged a pick up from your hotel or grab a taxi to get you to your hotel, prices appear to be set at the airport and are made for tourists so be prepared for a pricey ride. Ferry: Slightly cheaper than flying into Zanzibar, there is an option to take a ferry which takes about two hours. The ferry terminal is located a 40-minute drive from the airport in Dar Es Salaam and the ferry departs four times each day. Be prepared to get there early though so this can take up a large part of your day. Get around: Get a local vibe and hop in a dala dala, an open-air bus, to get across the island. Taxis are also readily available. Or, rent an electric scooter and zoom across the island at your own pace. Once you are in a town the area you are staying it is easy to access everything on foot. Get a taste for all that Zanzibar has to offer by heading to the night market at Forodhani Gardens. Get there before sunset to watch young men having a blast putting on a show as the flip into the water. Then try everything from barbecue seafood, Zanzibar pizza (sweet or savory), soups, schwarma’s and more! Lukmaans is where you will find great local food and freshly squeezed juice at a good price. After climbing the stairs to the roof, you will enter a new world walking into the Tea House Restaurant. It has a set menu with shareable dishes and a lovely atmosphere including live music and plenty of cushions. Near Paje, grab coffee and lunch at Mr. Kahawa (Kahawa is Swahili for coffee), a modern beachfront coffee shop and lunchroom with gorgeous views and chill vibes. After a day of kitesurfing or just hanging out on Paje beach, you’ll have probably been offered this seafood barbecue buffet. If no one has sold you tickets yet, walk along the beach after sunset and look for a blazing fire. There you’ll find an all you can eat seafood buffet complete with beer, a beach fire and new friends. 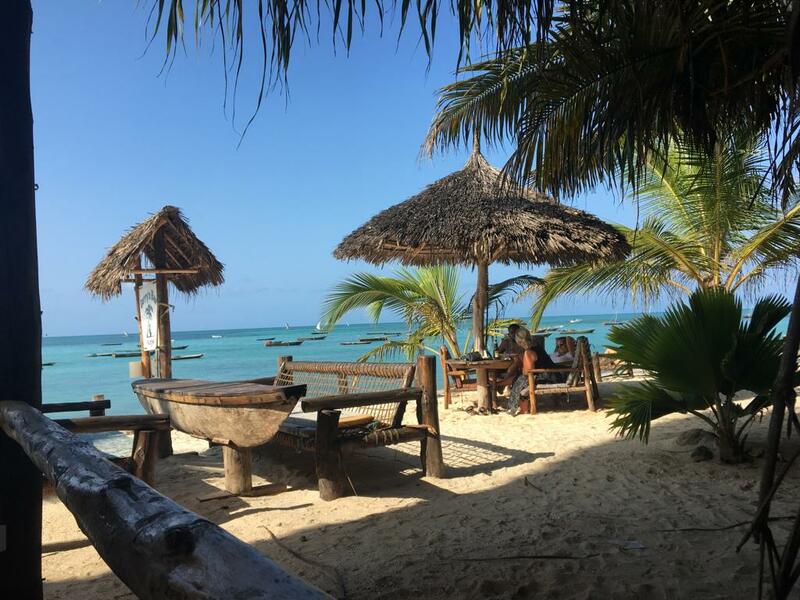 A short drive from Paje beach you will find the infamous Rock Restaurant Zanzibar. A restaurant that has been built on a rock surrounded by water. The delicious menu had locally harvested seafood and spices and pasta made in house. You are sure to feel relaxed when you enjoy this one of a kind experience. 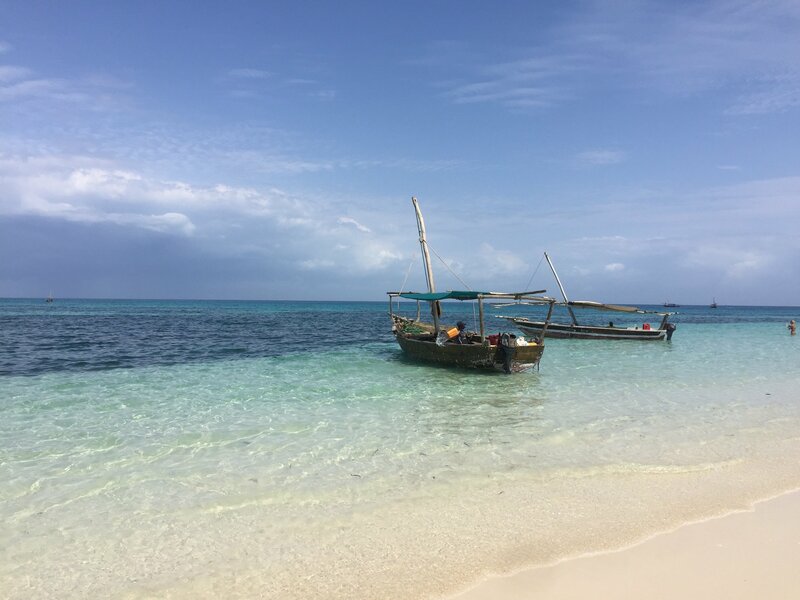 Here are the best things to do in Zanzibar when the wind is down! 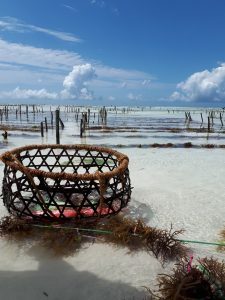 Visit The Seaweed Center: Visit a local social enterprise in which Zanzibari mamas lead a guided tour of a seaweed farm. 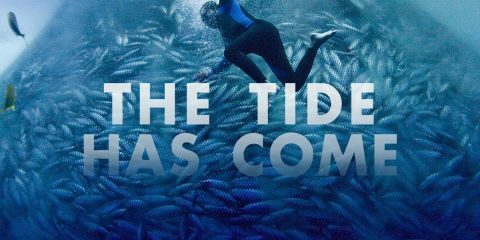 Learn how they grow seaweed and see how they turn it into soap and other products. You’ll even have a chance to shop for some great, all-natural products ($10 entrance). Relax on the beach! 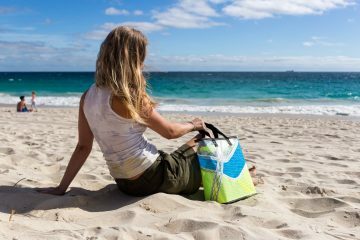 There’s plenty of sand to throw down a towel and enjoy the sunshine. 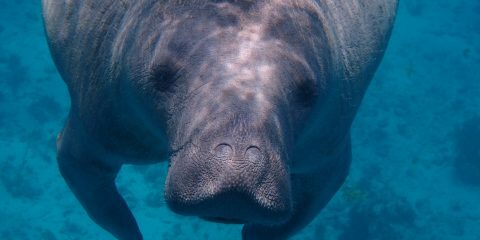 Venture out on a snorkel tour to take a look at the underwater life of Zanzibar. Visit Prison Island, a short boat ride from Stone Town where you will find The Aldabra Giant Tortoise Sanctuary with turtles over 100 years old. Tour Stone Town, shop, learn about the history, and visit the harrowing Old Slave Market. Hike through Jozani Chwaka Bay National Park ($10 entrance) – located in the middle of the island, between Stone Town and Paje. Kendwa Rocks hosts epic full moon parties every month, so if your timing lines up, head to the north end of the island to get your party on. When in Stone Town or walking around away from the beaches, it is recommended to dress modestly out of respect to the local culture, which is predominantly Muslim. Depending on where you are coming from, you may need a yellow fever shot, so make sure you have looked into that before starting the trip to avoid getting it at the airport. Aquaholica Zanzibar was the first kitesurf camp in Paje. Their most popular eight-day camp includes boat trips to waves, round-trip airport transfer, breakfast, six days of instruction, and seven nights of accommodation. Uhuru Beach Resort is on the east coast of Zanzibar and offers kite camps and lessons for kitesurfers of all abilities. 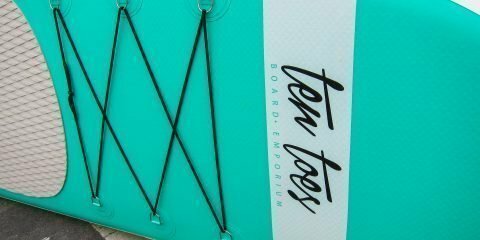 During low-wind days, kitesurfers can make use of the property’s standup paddleboards and enjoy yoga classes. 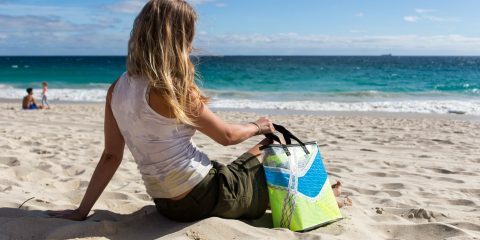 The Surf Escape offers beginner kitesurf camps and includes rental gear, private lessons, and accommodation. Their lodging has a variety of rooms that can cater to groups of friends and families. There are weekly barbecues, standup paddleboards for hire, and fishing trips as well. Molly Grove is a Canadian travel writer based in Mwanza, Tanzania. Follow her on Instagram. Disclosure: The Salt Sirens uses affiliate links as a means for sites to earn advertising fees by advertising and linking to our affiliate partners.